Mindset. They say that attitude is everything right? The first time I realized this attitude thing, was in university a few years ago. We always talk about the ego, but we seldom know when we are acting from it don’t you think?. So, that day I was at a geopolitics class and the professor asked for some opinion on the Syrian situation (it was just starting at the time) and there were a few smarties in the class (I liked to consider myself as one of them, I know, idiotic) that always competed between each other when the professor asked some opinion. I raised my hand and won the opportunity to give my opinion, but as I was speaking I realized that I was struggling to give a smart answer and that my problem was exactly that! Trying to give a smart answer instead of focusing on the topic and giving an opinion without the overwhelming ego impeding a normal conversation. Non-learners or fixed mindset people. Let’s first define the word fixed. Fixed is something that is not fluid, that does not move, it just stays as it is, it’s fixed and that is it. A fixed mindset then, is a mental state in which the flow of ideas and new-learning is stuck in some way. A fixed mindset cannot learn anything new. It doesn’t want to, it just wants to be awesome right away. To learn something new a kind of humility needs to happen, a flow of ideas, an interaction with the environment. Why do we incur into this narrow-mindedness? Well, if you relate your value as a person with your capacity to do stuff successfully, that means, that every time you fail at something or look stupid in any way, your value as a person diminishes. A fixed mindset thinks that intelligence, the capacity for being great, is something embedded and not acquired. A fixed mindset works for maintaining an image (as I was in the classroom), a facade of greatness. A fixed mindset does not concentrates on doing a thing in the best way possible, but on maintaining the image of being great. The growth mindset is fluid, it welcomes challenge and defiance because in fact, this mindset needs challenge and defiance to grow. A person learns to do something better not when it’s easy but when something is hard enough to figure out something that he or she didn’t knew before. This mindsets focuses on the issue at hand, failure here does not determine the value of a person as it does in the fixed mindset, it becomes information to be better and better with progression. Growth mindset welcomes challenges because it is an opportunity to stretch its capacity to do something. This mindset is really more natural and in accordance with nature don’t you think? Life is constantly changing as so does our heads. Our brains function with a phenomenon called Neuroplasticity, which is simply put, that it gets better and better at anything it is doing, it changes, so, it is very, very painfully true that: Whether you think you can, as whether you think you can’t you are right, Henry Ford. We humans love power and feeling powerful, we admire stories of courage of people who face victoriously his enemies and challenges with the might of Hercules. We would like to feel, if we could, as the mighty cliff that faces the ferocious ocean without moving, without giving in just one bit. This is possible, we have that power within us. We have to understand though, what is that power and how to use it. Stoicism is often depicted as a philosophy whose sole aim, is the suppression of emotion, popularly believed. It portrays a stoic as a piece of wood or iron, fearless but also emotionless. This does not hold true for Stoicism. Stoics are, at the end of the day, human beings charged with love, fear and shyness too. Humans all to humans. 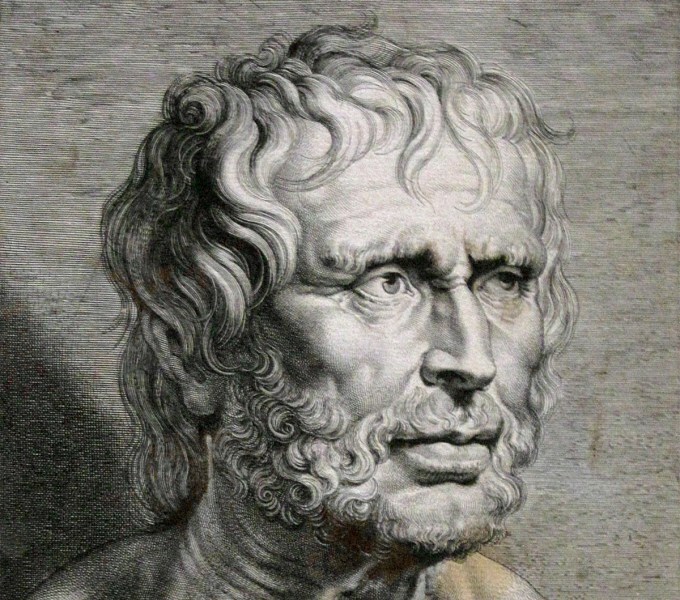 The aim of Stoicism is not to suppress emotion, is to live life as best as it can be lived. There is no way in which we cannot feel emotion, emotion just arises. If you happen to be at the subway in the middle of the night and someone pulls out a gun, you will be afraid, you cannot control not being afraid. The same thing happens with every situation in life. When you have an important meeting, you will feel anxious, asking a girl out? you will feel anxious as well. What the Stoics argued regarding emotions is that you don’t have to suppress them, quite the contrary, you should act in ways that give you the would ones and avoid the negative ones. You don’t have to feel guilty about feeling afraid or angry. The rise of emotion is something, just as thought, that isn’t under our direct control, and so this too becomes part of the indifferents. Indifferents, all the things that are not under our direct control. We have to be carefully aware of what it is and what is not that is under our direct control. Emotions play a tricky part, because we are the ones feeling it, and we feel rulers of our emotions because we ourselves are literally feeling them, but in reality you cannot control the next thought or the next emotion that arises. A practicing Stoic, however, has the capacity of applied reason. Volition, the capacity to exert our will. It is in the power to exert our own will where we can become like the unmoving rock in the middle of the waves. Emotion may rise, but it is subjected to our reason and cardinal virtues (wisdom, temperance, courage and justice). Stoically, we have the capacity to disregard passions as indifferents, but still feel the whole sphere of emotion without restrictions, it is in that power, where we have emotion control. You can feel fear, but act with courage anyways. You can feel shame, but stand proudly anyways. You can feel anger, but act with justice anyway. Stoicism and action go hand in hand. A Stoic does not wait, he acts in spite of. The greater the challenges, the greater for the Stoic mind becuase it can practice its power to overcome it. The difference between a fool man and a wise man lies in the power to put everything that happens to him to the test of his reason and act accordingly.